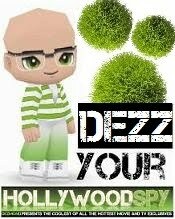 If you want to tell your HOLLYWOOD SPY something, send us love, or you want to advertise at HOLLYWOOD SPY or work with us, or have any interesting suggestions, you can drop us a line HERE! We accept movies, books and other products for free (or paid) reviews and we also offer promo-posts at HOLLYWOOD SPY for your products. Contact us HERE!